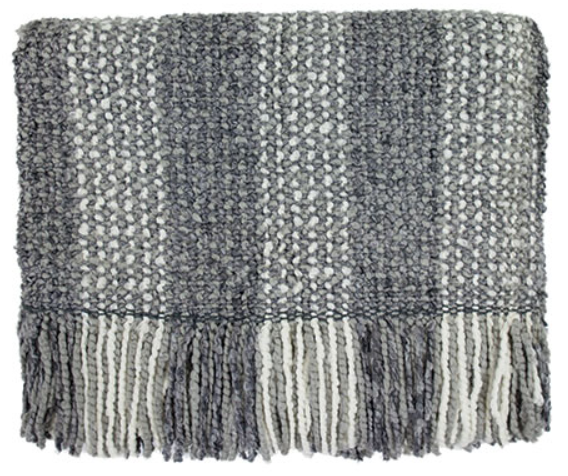 Texture and color combine seamlessly in the Greenwich throw. Greenwich plays off color and weave for a subtle stripe effect. 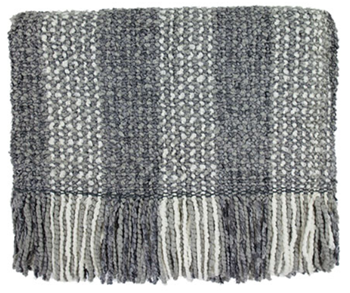 This acrylic blended throw is hand washable and has fringe on two sides.